“We call this Boxing Day with alcohol,” a David Jones sales associate told Mediaweek at last night’s Sydney Vogue‘s Fashion Night Out. The retailer, who alongside Olympus is the major sponsor of the annual gala, was resplendent with free champagne, runway shows, sales and the 30th annual Spring Flower show opening across the six level of the store open to the public. Level 7 of David Jones was particularly spectacular, with the launch of the brand’s relationship with JT One via a slumber party hosted by Alli Simpson that looked like a teenage girl’s paradise, and a VIP bar. Other notables included the YSL installation on Pitt St Mall with free one-on-one beauty sessions for shoppers and the David Jones man cave in the Market Street mens’ store – featuring beer and couches to chill out on! The event, which Vogue editor Edwina McCann said generates more revenue than the Boxing Day sales, was launched at a function in Hyde Park attended by the likes of Vogue fashion director Christina Centenara, NLM publishers Nick Smith and Fiona Nilsson, sales boss Paul Blackburn, editors Neale Whitaker and Kerrie McCallum, corporate comms head Sharyn Whitten and MC Melissa Hoyer. 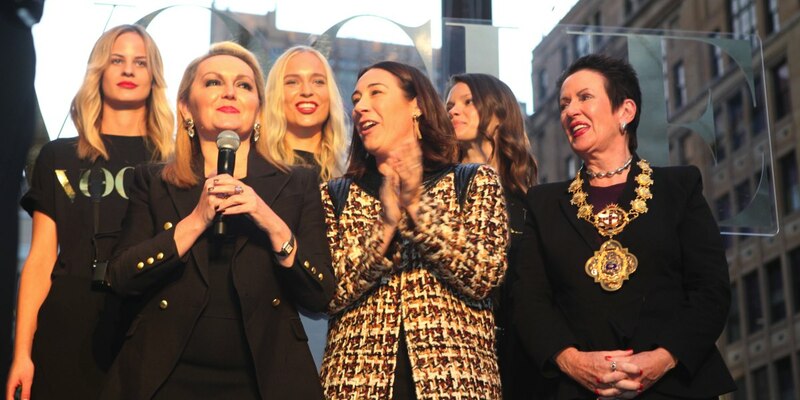 The exec team was joined by Australia’s Next Top Model’s Cheyenne Tozzi, David Jones ambassadors Montana Cox and Jessica Gomes, The Slap’s Sophie Lowe (who performed her debut single for the crowd), Lord Mayor Clover Moore and many other famous faces. 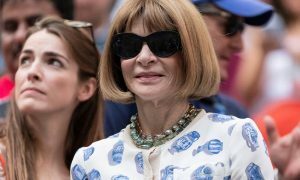 McCann told the crowd, who had to huddle under the marquee when the heavens opened briefly, that last year’s event was attended by 180,000 people in Sydney and she was hoping for more this year. 2015 also marked the first time that the global event, which takes place throughout the world, was held in Melbourne. 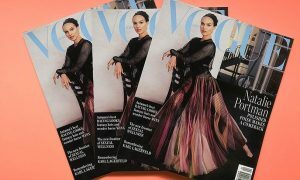 Held last week, McCann said the inaugural Melbourne Vogue Fashion’s Night Out was a huge success and likely to occur again in 2016. Sydney Confidential reports that close to 200,000 keen shoppers attended, spending an average of $300 each.